It had been a particularly unpleasant day at the office for Ranald. It was only after being promoted to management six months earlier that Ranald realized how stressful his dream job actually was. Sure, it was nice to be getting a larger pay check and finally to pay off some debts. However, managing a team of people who insisted on being disorganized was taking its toll. Sometimes Ranald looked back wistfully on the days before he was put in charge of the entire department. These were some of the thoughts going through Ranald’s mind as he drove home one Friday evening. He wanted nothing more than to just go home, switch on the TV and tune out. He knew that wouldn’t be possible. His wife and kids would have demands. They always did. The children would need help with homework, his teenage daughter would need to talk about her day, and his wife would expect his undivided attention as she shared about her own struggles. It started before he had even left the parking lot at work, when he got a text from his wife asking him to pick up some food at the supermarket on his way home. If she would plan meals out in advance, then she wouldn’t suddenly need me to pick up dinner, Ranald thought to himself. She could easily have bought these groceries when she was out today. But no – she expects me to do it when I’m already exhausted. Ranald kept these thoughts to himself and texted back that he would pick up the groceries. A few seconds after he finished texting his wife, his youngest daughter phoned up, excited about a funny cartoon she wanted to show him. Don’t they all realize how stressed out I am? Why can’t I just have a little peace and quiet for once! After all, I’m the one that’s been working all day to provide for them. Half an hour later, Ranald was waiting in line at the supermarket. The cashier was a middle-aged woman whose hair was just reveling a hint of grey. Ranald could see from her tag that her name was Adela. A crucifix hung about her neck. Adela seemed as tired as he was, but she was making an effort to be friendly to each person that came through her line. In a voice that betrayed a hint of an Eastern European accent, she engaged each customer in conversation, asking them about their day and their plans for the weekend. There was something about Adela’s friendliness that annoyed Ranald. If I’m not friendly back, she’ll probably judge me in her mind, he thought. Besides, her friendliness is probably fake anyway: they make her work long shifts for only minimum wage – no one with her job could really be happy. At least I am honest about the fact that I feel miserable. I might have many faults, but no one can accuse me of being a hypocrite. Sure enough, as soon as Adela began ringing up his food, she attempted to engage Ranald in friendly conversation. Suddenly, in spite of himself, without even realizing what he was saying, Ranald blurted out, “Damn it! Why do you always have to be so happy? Ranald expected Adela to be taken aback. If he had been honest with himself, he would have recognized that he actually hoped to get a reaction, to find a chink in this woman’s artificially happy exterior. But Adela just continued ringing up the items, not saying anything. Gosh, that really makes me feel good, Ranald thought. So I’m just one more weird person she has to deal with. Just what I needed to hear! After an awkward silence, Adela began to talk again. “Go on,” said Ranald, now taking an interest. “How’s that working for you?” Ranald asked. Impressed by what Adela had shared, Ranald decided to try it himself. It would be an exaggeration to say that Ranald’s outlook on life changed after that encounter. But it began to change. Slowly, and at first almost imperceptibly, Ranald began to focus on all the small things in life that he could be grateful for. He still had bad days, but the more he worked on cultivating gratitude, the more resilient he became to the ups and downs of life. 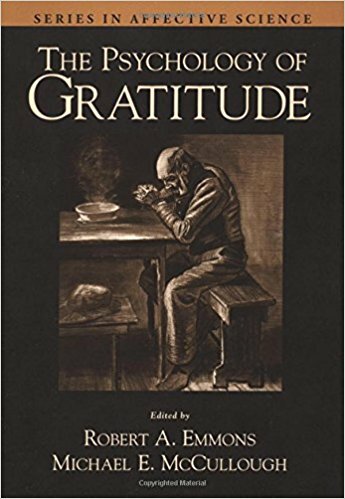 He also found that gratitude helped him to be less preoccupied with his own needs and more focused on serving those around him, particularly his family. If ever he slipped back into his old ways, he just reminded himself of his “supermarket moment” when his outlook on life had changed. Like Ranald and Adela, each one of us has unpleasant things in our life that we cannot change. Sometimes the circumstances of our life can feel like prison bars, as they confine us to conditions from which we would prefer to escape. For some people, their prison bars might be an unpleasant job, or perhaps the fact that they don’t have any job at all. For others, it might be a spouse or family member who continually complains and criticizes. For others, it might be a physical infirmity. Whatever it is, the circumstances of our life can feel like prison bars, blocking us off from the life we would like to live. When we find ourselves in these types of difficult situations, we face a choice. Do we focus our attention on what we wish was different about our life, or do we practice gratitude for the blessings that are still available to us? Some people say you should never complain. I don’t agree with that. Complaining can sometimes be therapeutic as a way of processing emotions. This is especially true when we’re processing feelings of grief, betrayal, shame and heartache. However, most of the day-to-day complaining we do serves no therapeutic function and actually makes us feel worse. One of the reasons we complain so much was suggested by economist Gregg Easterbrook in the early 2000’s. Easterbrook observed that as our lives become more prosperous, our expectations have risen, resulting in more things to be unhappy about. Our comforts provide an endless array of new things to experience disappointment and frustration over. When progress occurs on a culture-wide level, not only do our expectations go up, but the baseline for normality rises to such an extent that it’s easy to start overlooking just how blessed we are for commonplace realities. The normal things in our life that ought to be occasions for profound gratitude are often overlooked precisely because they are so normal. If your life is characterized by even half the things on the above list, that is an occasion for profound gratitude every day. Sadly, we often overlook these types of ordinary blessings because we only see the small picture of what is less than perfect in our lives, losing sight of the big picture of how blessed we actually are. It’s easy to be naturally grateful for the things that are out of the ordinary—a bonus from work, a kind comment from a stranger, an extra special meal, an appreciative letter from a friend we haven’t seen in years. But we have to really work to cultivate gratefulness for the ordinary things we take for granted. However, when you stop to think about, these ordinary blessings ought to occasion the highest levels of gratitude. We ought to be grateful for these things precisely because they happen frequently enough to become normal. Sometimes it is only after these ordinary life blessings are removed that we come to realize how blessed we actually were. This is what happened to some of the prisoners in the second world war. But not all the prisoners could do this. Many prisoners lost hope and gave up on life. However, for those who clung to their spiritual integrity, it was possible to realize high levels of purpose even in the midst of so much suffering. 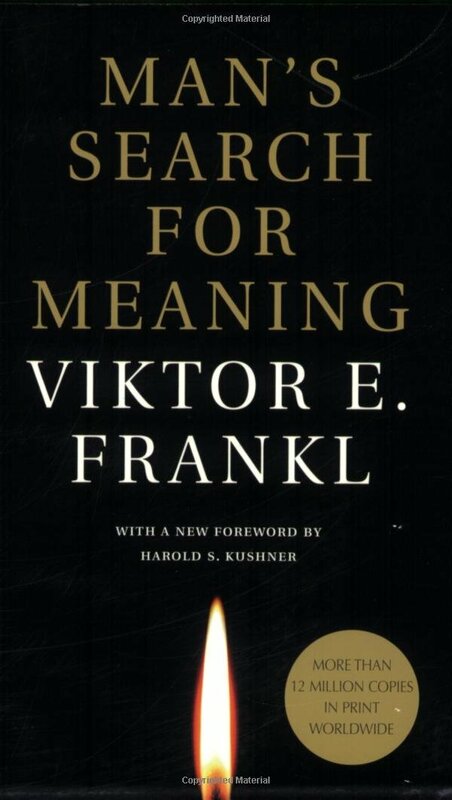 In fact, Frankl found that the ability to accept suffering with dignity and spiritual integrity, and the ability to find a higher meaning in and through the agony, could make the difference to whether a prisoner shriveled up and died, or whether he continued to live. If it was possible for people in concentration camps to be grateful for little things that most of us take for granted, then how many more occasions for gratitude do those of us living in freedom experience every day? Maybe it’s time we started noticing these blessings, perhaps even writing them down in a gratitude journal. “The constitutionally grateful person has a shield against such debilitating regrets because he or she is inclined to dwell on the favorable, rather than the regrettable. …a person with gratitude-readiness will tend to see what is good in situations and to notice less what is bad. The kind of unfortunate actions and events that make the constitutionally regretful person miserable may have occurred in the grateful one’s life as well, but the grateful person can move on from them, because his or her mind is tuned to happier things…. Now think back to the exchange between Ranald and Adela at the supermarket. By all external measures, Ranald’s life was better than Adela’s. After all, he had a good job, his marriage was intact, and he had a network of friends and associates. By contrast, Adela was working a minimum wage job, her husband had left her for another woman, and she found herself isolated in a foreign country. Yet Adela was happy and Ranald was not. Why was that? It’s simple: Adela determined to be grateful for the ordinary things that most of us take for granted. A thankful disposition did not come naturally to her, but as an act of the will Adela chose to write down everything she could be thankful for, even basic things like clean drinking water and a place to stay at night. As a result, she radiated joy and well-being to everyone she came in contact with. This entry was posted in Gratefulness by Robin Phillips. Bookmark the permalink.